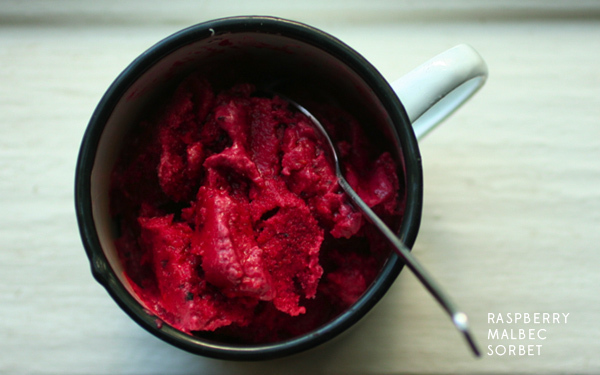 Today's Food Matters Project recipe is a raspberry cabernet sorbet. This sorbet is done in minutes, and the blender does all the work. Recently I had a blackberry cabernet sorbet that I really liked, but honestly I wasn't that crazy about this recipe. I think next time I'll use blackberries and blueberries instead. I had a bottle of malbec open, so I used that in place of the cabernet. See the original recipe here and what others made here. Blend all ingredients until smooth. Enjoy immediately or freeze for later. I think this is best eaten immediately though. 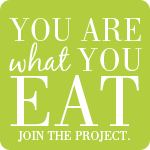 Check back tomorrow as I'm part of Tomato Tuesday and will be sharing a recipe with slave-free tomatoes. Make sure to follow along here. Blackberries and cabernet sound good, too. Either way, your sorbet looks great, I love this color. What a gorgeous sorbet! It sounds divine - I love the addition of cabernet (or, in your case, malbec). And YAY for Tomato Tuesday! I can see how dark fruits might be better, but this version looks lovely too. You've got the wheels turning in my brain. Love sorbet! OH MY. This may need to happen immediately at our house! whoa nelly! this sounds amazing! I wonder if you could serve immediately if used in an ice cream machine? I like it this really good information.